J.A.M. 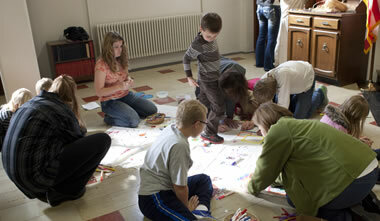 at Estherville Lutheran Church is for children aged 3 years old through 6th graders. It meets every Wednesday and there is a meal served. Come join us on Wednesday evenings for fun and learning with J.A.M. (Jesus and Me). Three years old (or older) is a great time to start enjoying the benefits of Wednesday evening J.A.M.